Selected scenes from the German horror film Nosferatu from 1922, directed by F.W. Murnau and starring Max Schreck. Silent with German subtitles. One splice, but only a few frames lost. The film comes on a very full reel (66m/220ft); when played at 18 fps, running time is about 14 minutes. 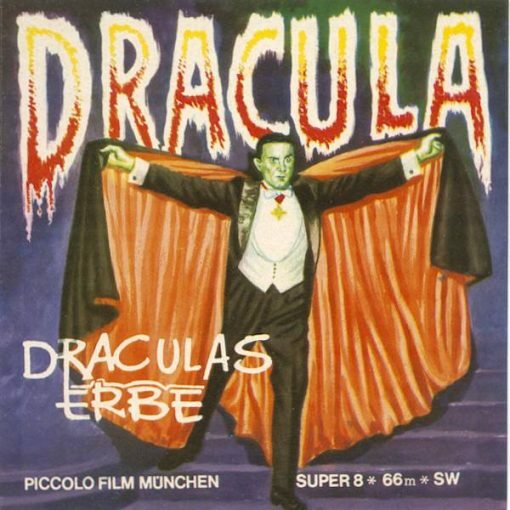 Released by Piccolo Film, Germany, as Draculas Erbe.